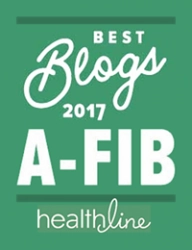 “My first ablation 2006: Thanks to your A-Fib.com website, I found Dr. Walter Kerwin and Cedars-Sinai Medical Center in Los Angeles. He did my Cryo Focal ablation in 2006, and it lasted almost 10 years without a problem. My second ablation 2015: Recently, (September) I came out from Nashville, TN, to have Dr. Kerwin perform another procedure on me. This time it was the Cryo-Balloon. It took six hours, but Dr. Kerwin feels it was a great success. I was released on September 11, 2015 and since then feel great. I highly recommend anyone considering having a Cryo-Balloon ablation done, to fly to Los Angeles and have Dr. Kerwin do it at Cedars-Sinai. Don’t just settle for anyone who can do an ablation. 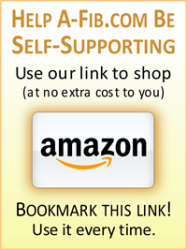 (see: All EPs Doing Abaltions Are Not Equal). 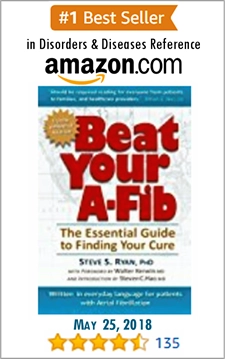 Dr. Kerwin pioneered the Cryo Balloon and has devoted his entire life to curing A-Fib. 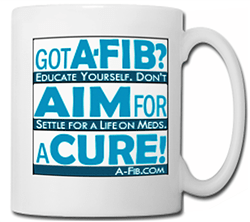 Thanks again for your A-Fib.com website and for leading me to Dr. Kerwin. 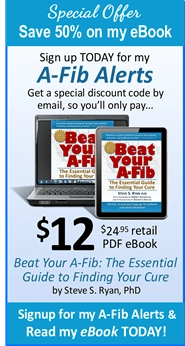 I welcome emails from A-Fib.com readers. 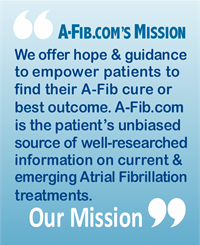 For more patient A-Fib stories, visit our page: Personal A-Fib Stories of Hope for over 80 first-person reports by patients, many of whom are now free from the burden of atrial fibrillation.